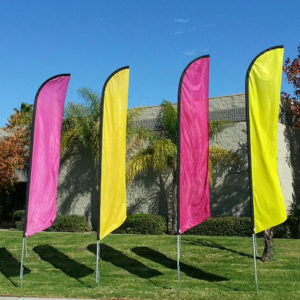 Get your property noticed with balloon visibility at over 8′ tall! This kit includes a 48″ black aluminum pole, a 35″ fiberglass stem, a ground mounting kit, and reusable vinyl balloon. Get your property noticed with balloon visibility at over 8′ tall! This kit includes a 48″ black aluminum pole, a 35″ fiberglass stem, a weighted base stand, and reusable vinyl balloon. 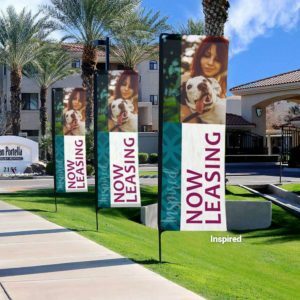 Make your sidewalk advertisements pop with our A-Frame Bracket Kit! Get your property noticed with balloon visibility! It’s a BIG attention getter!!! A popular kit for apartments, businesses, events, and parties. Comes complete with Ground Stake Anchoring Kit for easy installation in landscaping. Select FIVE balloon colors, included. It’s a BIG attention getter!!! A popular kit for apartments, businesses, events, and parties. Now with a weighted base! Select THREE balloon colors, included. Using specially engineered extreme strength plastic, BalloonBobber® Window Clip Kits are the toughest in the industry! This enormous 6-balloon cluster tree can be mounted anywhere it can be driven into the ground securely. Select SIX balloon colors, included. This enormous 6-balloon cluster tree! Now with a weighted base! With the eye-catching Balloon color of your choice, our Light Pole Kit provides maximum visibility from blocks away! 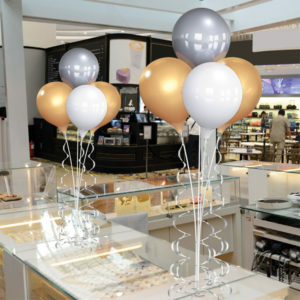 With the eye-catching balloon color of your choice, our Light Pole balloons provide maximum visibility from blocks away! Select FOUR balloon color, included.